Welcome back to our channel! Up until this point we’ve spoken a lot about Islam. We’ve covered quite a number of topics, from Islamic beliefs to Islamic practices. We’ve talked about law and we’ve also talked about spirituality. One thing we haven’t talked about is Islam’s relationship with other religions. What does Islam say about other religions? What does it say about people of other faiths? How does Islam treat people of other religions? These questions are really important given that not everyone in the world is Muslim. For those of us who are living here in the West, this question is even more urgent for the majority of people that most of us tend to deal with, whether it is at work or school, are non-Muslim. For those of us who are converts to Islam where most of our families are non-Muslim, these questions are even more pertinent. 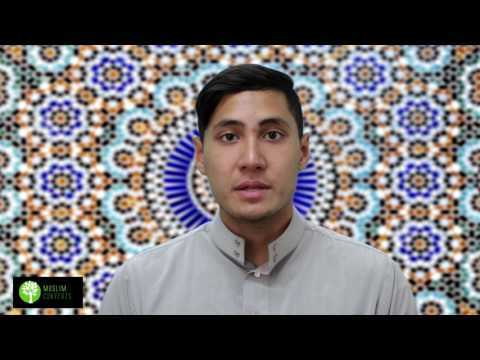 In this lesson, we will overview some of the basic elements of Islam concerning its views and treatment of people of other faiths. The Qur’an is stating a simple rule. If you want others to respect you and your religion, you need to be kind enough to show them the same amount of respect. Disrespecting others is just a recipe for mutual fighting between human beings which the Qur’an wants to avoid completely. But there is another problem as well. Some people think that respecting another person or system of belief means that one needs to accept it. This is absolutely incorrect. The Qur’an is very clear throughout its pages on the incorrectness of religions other than Islam. Respect in the Qur’anic view, however, means that one’s discussion or relating to others should not result in insults or mockery no matter how incorrect the religion may be. One must always uphold the highest of manners and be polite and respectful. The Qur’an is thus teaching us that the essence of Islam’s relation to other religions, and by extension, what it expects from Muslims and how they relate to non-Muslims, is that of gentleness, kindness and compassion. It is not taking away their rights, patronizing them or treating them like second class citizens. If a Muslim happens to mistreat a non-Muslim for no other reason than the person’s religion, then he or she will be at fault according to Islam and answerable to God on the Day of Judgment. Who are the Ahl al-Kitāb? They are the People of the Book, that is, people who belong to a religion that was divinely revealed within the line of the Prophet Abraham (as). They are Jews, Christians and Sabians. Is a polytheist an idol worshiper? Generally yes, but some polytheists do not worship outside idols but are simply polytheistic in their beliefs. If a non-Muslim insults Allah or Islam, can I insult him or her back? No, in 6:108, Allah teaches us to keep our manners. That produces an atmosphere of respect. Why is idol worship bad? Because it keeps people from worshiping the true God and creator of the universe. Someone who worships idols or gods other than Allah and associates partners with Allah who help Him maintain the world.